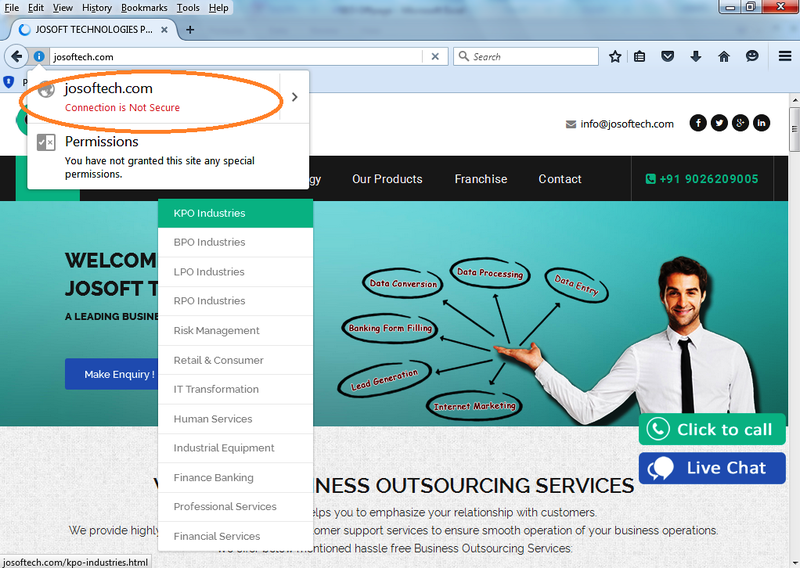 At the time of opening our website on Mozilla Firefox, an error ( Connection is Not Secure ) showing in browser. Is anyone able to let me know the reason behind this issue, how can we resolve it? Is this harmful for search engine optimization? What do you get in other browsers? It may just be a feature not checked right. I don't use firefox but I'll bet you have the notification checked to let you know. I'm also assuming your site is http and not https, which will raise that flag. It tells you connection not secured because you do not use a SSL certificate to establish an https connection to your website. Nothing wrong with that just test with any other website that doesn't uses SSL so as my CV ( Consultant SEO & Webmaster indépendant ), you'll see the same message. Google showing too many backlinks - MUST BE ERROR?! Why showing this following error?